Bad college essays tell stories that the writer hopes will sound impressive, not stories that the student actually cares about. They usually include sentences the writer would never say to a friend. What football player would ever tell a teammate, "Football has taught me important lessons about hard work and commitment"? What kid who volunteers at a soup kitchen would ever say, "As I handed the bowl of soup to the elderly woman, I had an epiphany about the value of helping people"? What student comes back from a trip to Europe and tells her friends, "I expanded my cultural horizons by learning to appreciate the subtle yet important differences between the French and Americans"? Bad college essays just try too hard, not unlike how Matt Damon (who went to Harvard, by the way) describes bad acting in the first 50 seconds of this clip. When our counselors go through the Collegewise training program, we read and discuss a number of books about college admissions. Here are a few of our favorites. Toor takes you along with her during her three-year stint as an admissions officer at Duke University. 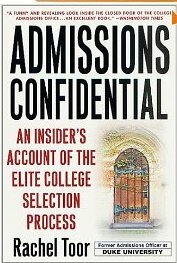 I include this book in our training because it shows that admissions officers are just regular people, not stuffy educators. Toor took a job in admissions because she thought it would be more fun than her editing job. She admits to having a soft spot for artsy kids and reveals that she argued most forcefully for those students she felt like she could hang out with. It's not a book about how to get into Duke; it's more of a revealing account of what it's like to work in a highly selective college's admissions office. Michelle Hernandez is not universally loved in the college admissions world (If you'd like to know why, here's an interview on NPR), but I still appreciate that she comes right out and describes exactly how she and her colleagues at Dartmouth actually evaluated students. It's also refreshing to hear someone else say that a student could scoop ice cream during the summer and still get into a selective college. Her section on letters of recommendation is especially good. Though unless you majored in statistics, you might want to just skip over the section on the "academic index." It's complicated and not terribly interesting (to me, at least). I love this book’s mission—to help students re-take control of a college admissions process that seems to have spun out of control. The advice comes in the form of short essays from admissions officers themselves. Some are better pieces than others, but it's a good reminder of something we've learned after doing this for over 10 years–admissions officers are mostly good people who want to do the right thing by kids even if they can't admit all of them. 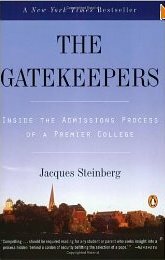 Steinberg (who now writes the admissions blog "The Choice,") observed the admissions process at Wesleyan University and wove it into what I think is an entertaining read. 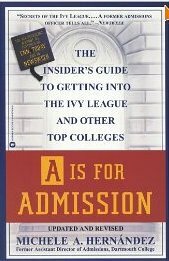 You'll learn a lot about admissions, and don't be surprised if you get sucked into the story. Waiting to find out who gets in is like waiting to find out who the killer is at the end of a taut suspense novel. And one of the applicants profiled went on to found Unigo.com. The title pretty much says it all. 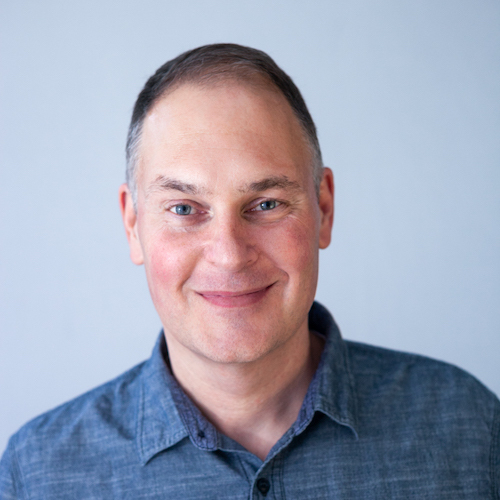 Jay Mathews offers a good dose of perspective and common sense to the process, and even gives readers a list of 100 great colleges worth considering. I love his honesty about everything from the realities of the waitlist to the search letter scam where kids get warm and inviting letters from selective colleges based on nothing but PSAT scores (which aren't even used during the admissions process). Jay's also a parent of two kids who've gone on to college and has especially good perspective for moms and dads of the college bound. "Maudlin descriptions of animal demise, always written by the fluffball. 'As I watched Button's life ebb away, I came to value the important things in the world.'" C'mon. You've got to get this one. Should you take a risk in a college essay? Students and parents ask us all the time if it's advisable to take a risk in a college essay. Should you write about something controversial, or take on a subject that may offend the reader, or admit a mistake you made? I usually tell students that if you're taking a risk in a college essay just to get noticed, that's probably not a good strategy. But if you're taking a risk by telling the truth, standing up for what you believe in, or just admitting who you really are, even if it may paint you in a less than positive light, those tend to be admirable traits that colleges will appreciate. Here's an example. We worked with a student last fall who had a clear, first-choice school that was a reach for him. The school's essay question asked applicants to describe a situation in which you integrated critical thinking, intelligence, and character. He had a great story to tell about a job interview in which he was asked if he were elected president, what would he do first to improve the economy. He gave a thoughtful, informed answer about legalizing marijuana, and he got the job. The interviewer even complimented him on how knowledgeable and honest he was. But would it be a good idea to actually admit that in his college essay? 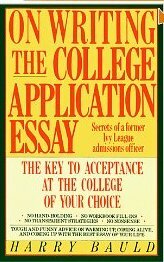 students did it" essays that admissions office has to read? So we told him to go for it. Swing for the fences. And today, he got his acceptance letter. The point here is not that risky essays always win. If you write an essay about how much you like to do drugs, that would be a stupid thing to do. But you should still be yourself. Have the guts to tell the truth. Don't be immature, but don't hide behind a safe answer that you don't really believe, either. "My daughter has worked so hard. She'll be just devastated if she doesn't get into one of her reach schools." It was clear that she, too, was going to be devastated if those schools didn't admit her daughter. And while she is undoubtedly a good mother who only wants to see her daughter happy and fulfilled, that question she asked is exactly what's wrong with the way too many students and parents approach college admissions today. Why is an admissions decision from a particular college the only award that will validate her daughter's hard work? Why are the colleges who are most likely to say "No" the only schools that she finds desirable? Is devastation an appropriate emotional response to an admissions decision from any college? The belief that the most competitive schools are the best, achievement in high school driven solely by a desire to gain admission to a college who rejects almost all of their applicants, and the implication that a rejection from one of those schools is a tragic event–that's what's wrong. That approach takes what should be an exciting time for a family and turns it into a grim process where your chances of success are roughly 7-20%. But parents can do a lot to fix what's wrong here. As much as many teenagers may appear to dismiss the opinions and advice of Mom and Dad, the truth is that every kid wants to please his or her parent. So parents, when you see your teens working hard, applaud their efforts. Tell them how proud you are of their work ethic and their accomplishments. Let them know how many wonderful opportunities will be waiting for them wherever they go to college. Encourage them to work hard for the right reasons, not to gain admission to a small group of selective colleges, but because they'll be better educated and more fulfilled and prepared to handle the intellectual rigor of college life. And most importantly, remind them that none of that will change if Berkeley or Duke or Notre Dame says, "No." Remind them that you won't be "devastated"–they shouldn't be, either. If I want to get stronger, I ask a trainer at the gym for advice. But when my arm hurts more than it should after working out, I don't ask the personal trainer to take a look at it. That's a job for a doctor. And what kind of shoes should I wear when I run? That's a question I reserve for one of those sprinters at the running shoe store who weighs 95 pounds and has a body fat percentage of negative 12%. The fact that training and injury and running occur as part of the same fitness regimen doesn't mean they aren't three very different things. College admissions works in much the same way. One of our Collegewise parents attended a free seminar over the weekend given by a test prep company. In addition to discussing SAT test-taking strategies (which were great), the presenter also shared a variety of information about how colleges use test scores. And virtually all of it was incorrect. College admissions, standardized testing and financial aid for college are three entirely different fields. Expertise in one does not translate to expertise in another. I'm not saying people can't be knowledgeable about all three. But most people aren't (I claim an admissions expertise but am an admitted dabbler in testing and financial aid). The widespread availability of college admissions, testing and financial aid information means that families have to be a little bit discerning about who you listen to. Seek out trusted sources, and don't be surprised if you turn to more than one expert. If you need a little direction, here's where I'd start for admissions, testing, and financial aid advice. With all the talk about what colleges look for in applicants, it helps to remember that college is school first. Yes, colleges care about your extra-curricular activities. They care about how you're going to make contributions to the campus. They like it when your interviewer finds you personable, and when you show interest in the campus, and when you tell engaging stories in your college essays. But none of that is as important as how you demonstrate your likelihood of being an engaged and successful student in college. And you do that with a rigorous high school curriculum, good grades, and a demonstrated interest in learning. An admissions officer is far less likely to be impressed by reports of your pitching arm if your academic work is substandard. They'll find another applicant who can throw a good fastball but also has rigorous classes and good grades. "My grades dropped because I was so committed to my extracurricular activities" is not a phrase that's going to move most admissions officers. A good audition, a letter from an influential alumni, a hundred hours of community service–those things are fine, but they won't make up for academic shortcomings. I'm not suggesting that you bury your head in the books and refuse to come up for air for four years. Enjoy your activities. See your friends. Have fun. Get enough sleep. Commit yourself to things you enjoy. Occasionally do things that have nothing to do with college admissions or improving yourself. Goof off every now and then. Be a nice person to teachers and to other students. Fill your high school years with emotional growth and good memories. But while you're doing those things, challenge yourself academically and work hard to meet those challenges. And feed your intellect by learning more about the subjects that interest you most. Your academics are the first place an admissions officer will look to assess your academic readiness for what college is first–school. I'd like to think we all get a little wiser every year. At 18, I looked back on myself at 16 and couldn't believe how little I knew. I'm sure I'll feel the same way two years from now about how little I know today at age 39.
could have owned that place (or at least have enjoyed a smoother, less stressful four years). So here are 20 things I wish my 39-year-old self could have told my high school self back in the late 80's. Some are college related, some or not. 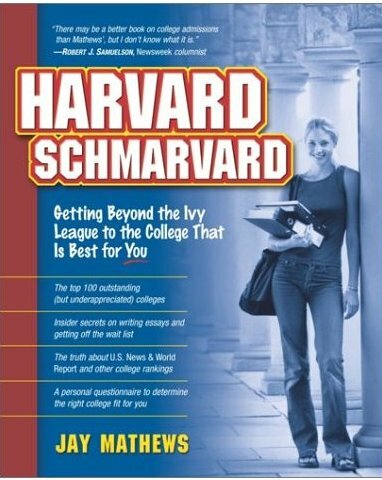 Maybe a high school reader can benefit from one (the rest, feel free to discard as the ramblings of a college counselor who went to high school before email and cell phones were in use). 1. Give your parents a break. Recognize that parenting a teenager is stressful and difficult. There's no manual issued when you take responsibility for a child. You won't do everything right either when you have kids of your own. 2. Get a job in high school. I'm glad I did this one, but I probably would have appreciated it more at the time knowing what I know now. I learned a lot working at that limousine company. 3. Guys, when you pick a girl up for a date, the first thing you should do is notice how nice she looks. The second thing you should do is compliment her–out loud–on how nice she looks. Seriously, do this one. 4. Appreciate what other kids are committed to, even if their activities are different from yours. You don't have to participate in the school musical to appreciate the kid who spends his time doing that while you're on the football field. You can ask him how the opening night went. And if you actually went to watch the musical to cheer them on, imagine how appreciative those kids would be. Wish I’d done that one. 5. Ask for help when you need it. A lot of the highest achieving students get there in part by asking for help when they don't understand the material. If I'd known that, I would have been asking for help a lot. 6. Don't eat out with a group of people unless you're willing and able to pay for more than your fair share. Everybody gets frustrated with the guy who you have to choke to get him to chip in enough money. 7. Anyone who says terrible things to you about people they supposedly care about is not to be trusted. They're doing the same thing to you when you're not around. Run away. 8. If you especially enjoy a class, tell the teacher. Write him or her an email, or just mention it after class. My mom was a high school teacher for 30 years and keeps a shoebox of notes she received from students. I can see how much it means to her to pull them out and read them today. 9. Be excited about the opportunity to go to college. While you're at it, be thankful for it. There are a lot of students in the world who would give anything to be able to attend college. If your biggest concern is whether or not you get to go to a school that makes the top ten on the US News list, you've got a pretty good life. 10. Try to learn as much as you can about the things that interest you. I don’t care what it is. People–and colleges–love a kid who feeds her mind. 11. Be nice to the kid that nobody else is nice to. Two years after my graduation, that kid everyone made fun of was killed in a plane crash. A lot of other people have to live with the fact that they went out of their way to make his high school years as unhappy as possible. I got this one right in high school and am especially thankful I did. 12. It's hard to overstate the value of working hard and being nice to people. 13. If you obsessively pay attention in class, you’ll cut your study time dramatically and get better grades with half the effort. Really wish I’d figured that out earlier than, well, now. 14. Try not to worry too much about the bullsh*t that goes on in high school. Who's popular and who's not, who gets invited to the right party and who gets left home, who looks right (or wrong), and all the backbiting and that is so rampant in high school–nobody will care about any of it once you get to college. Until then, just try to stay out of it as much as you can. Don't participate in or contribute to it. 15. Don’t waste your worry on things that don't matter. It's not for me to say what you should or shouldn't worry about, but it’s a big world with plenty of other people and causes that deserve your worry. I could have been a lot better about this in high school. 16. A good standardized test-taker eliminates wrong answers and guesses. A great standardized test-taker does that without feeling any less confident on the next question. Eliminate, guess, move on and feel good about it. That's the difference between high scores and average scores. 17. Remember that eventually there will be no such thing as summer vacation. So take advantage of summers. I mean really take advantage of them. I've even got suggestions if you need them. 18. Don't put a senior quote in the yearbook that will make you look stupid when you read it 20 years later. I didn’t make this mistake, but if I knew the lesson, I could have saved some friends some embarrassment. One wrote, “I’ll love you FOREVER _____!” and they broke up two months later. Ooof. 19. There’s honor in driving the worst car at school. We once had a kid at Collegewise who drove the most beat up Volvo station wagon I’ve ever seen. He had a bumper sticker that said, “Respect the wagon.” That kid had style. 20. Remember that you’ve got your whole life ahead of you. You can endure almost any teen setback, angst or humiliation if you remember that. Admissions decisions from colleges aren’t life defining. They can feel like it at the time. A lot of hard-working students spend their high school years driven to gain admission to a particular (or to a particular type of) college. So when the “Yes,” or “No” arrives, it can feel like your high school career has just been validated or invalidated, and that your future path is either clear or in shambles. But successful adults don’t look back on the day that a college acceptance arrived as the pivotal moment that ignited their future success. Nobody says, “Since that magical day I got into Cornell, my life has been an uninterrupted string of success and happiness.” They might identify a pivotal experience that took place once they got to college. 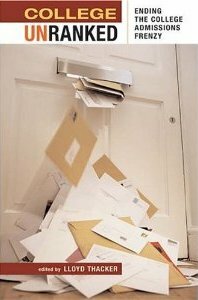 But it’s never the moment the letter arrived. Frankly, the same can be said of people who never achieved what they wanted to. If your decision is whether to go or not to actually go to college at all, that will almost certainly be a life-defining event. But where you go to college is a lot less important than whether or not you go, and what you do while you’re there. Wherever you go to college, it’s going to be one step in a process of education and growth that continues throughout your life. So whatever news you receive from your colleges of choice, remember that while the arrival of this decision might feel like a life-defining day, it isn’t. If you’re happy with the news, congratulations. Celebrate it and look forward to making the most of the opportunity once you get there. But if you’re not happy with your choices, remember that you’ve got four years of college, and a lifetime after you leave it, to define the life you want. This day isn’t the beginning or the end of your story. graduate-school rejection letters of their own." "The truth is, everything that has happened in my life[…] that I thought was a crushing event at the time, has turned out for the better," Mr. Buffett says. With the exception of health problems, he says, setbacks teach "lessons that carry you along. You learn that a temporary defeat is not a permanent one. In the end, it can be an opportunity." And for the parents reading, Buffet remembers how his father responded to the rejection. "As it turned out, his father responded with 'only this unconditional love…an unconditional belief in me…'"
Most kids feel like they're attending the college they were meant to attend. Some just take a little longer to realize it than others. It got a good laugh, but a few months earlier when the rejection letters from UCLA arrived home, they probably wouldn't have found it that funny. So I told them the truth. When I was eighteen, I sat in those very same seats and knew that I really wanted to be about 40 miles north in Westwood. So did a lot of my fellow freshmen. I told them that it had been that way at UCI for a long time and that, while every year, more and more freshman pick UCI as their first choice, an equal number really wanted to be Bruins. Then I gave them the good news. I told them that they just faced the largest and most competitive applicant pool in UCI’s history to get there and that they should feel proud to be sitting in that room. I reminded them that after one quarter on UCI’s campus, none of the freshmen would be talking about UCLA anymore. In fact, I made a promise that, at the end of the orientation weekend when they prepared to move into their new dorms, none of them were going to be thinking about UCLA anymore. Most kids end up at the right schools, and whether they knew it not, they were meant to be at UC-Irvine. I told them that it was time for them to start making the most of the next four years, and that their college careers started "today." Nearly five hundred new freshmen and their parents smiled collectively, let out a deep breath and applauded (which is admittedly great for a public speaker like me with an ego the size of a small planet). There is no better feeling than seeing several hundred new college freshmen smiling, excited, and eager to embark on their four-year college adventure. And that same look will be on the faces of most of the college freshmen at over 2,500 colleges across the country this fall. Kids, for the most part, like where they go to college. Sure, not everybody gets admitted to his first choice, but when you put a college freshman in a place with a bunch of fellow eighteen year-olds and tell him that all he has to do is learn and have fun for four years, it’s amazing how fast a kid forgets about whether or not he got into his first choice. That’s just the way that college was meant to be.